When it comes to creating exotic and luxury devices that cost almost 4 times the price of the original model , there's only one culprit - Russian luxury accessories maker :Caviar. Despite the price, the first iPhone X Tesla has already been bought. According to the heads of the company Caviar, Elon Musk will be the first to have this cover up because he was the mentor of the idea. 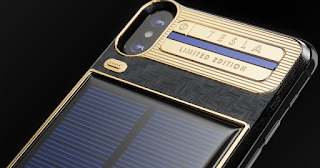 The cover is produced in carbon and has gold finishes of 24K. In addition, it also includes a solar charging system and the iPhone X itself (which is “offered” in the purchase of the cover). For the power storage system to work, simply place your smartphone with the screen facing down. This energy is stored in a second battery but will probably not offer much autonomy. The base model, 64GB, costs $4585 (N1.6m). The 256GB version is available for $4829 (N2.4m). The company has already said that for now there will be only 99 units for sale but, depending on demand, 999 may be produced. Much has been said about iPhone X sales since the tech giant Apple launched this flagship. Some argued that this iPhone model would be a disappointment but the truth is that iPhone X sales surprised. The iPhone X was the worldwide sales champion in February. According to the Counterpoint study, iPhone X managed to beat iPhone 8, iPhone 7, iPhone 8 Plus and even the popular Samsung Galaxy S8. 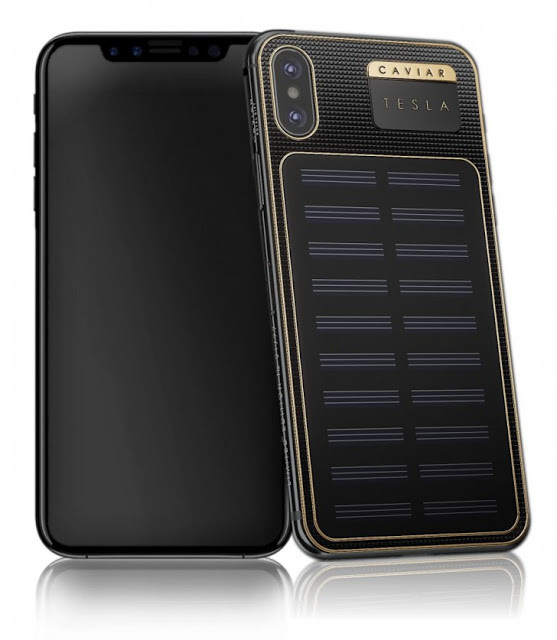 2 Responses to "Check Out The Solar Powered iPhone X Tesla That cost $4829 (N2.4m)"